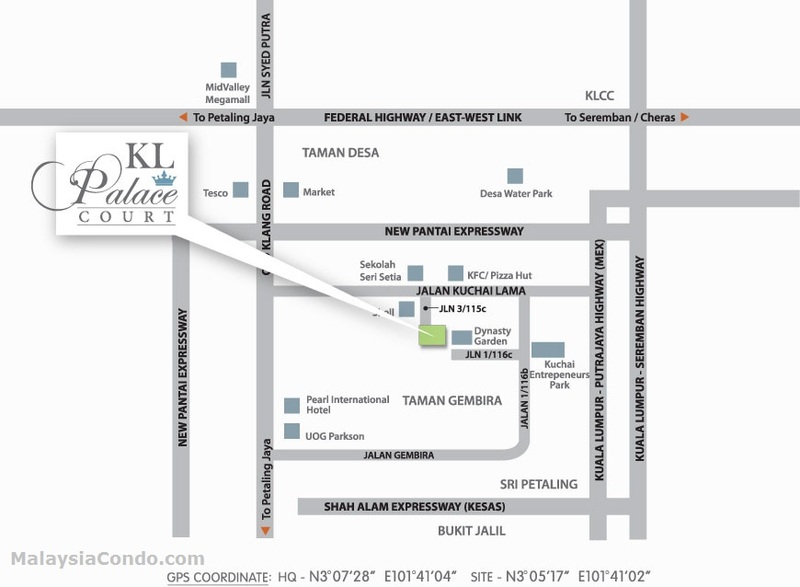 Palace Court Condominium is located at Jalan Kelang Lama, Kuchai Lama, Kuala Lumpur. 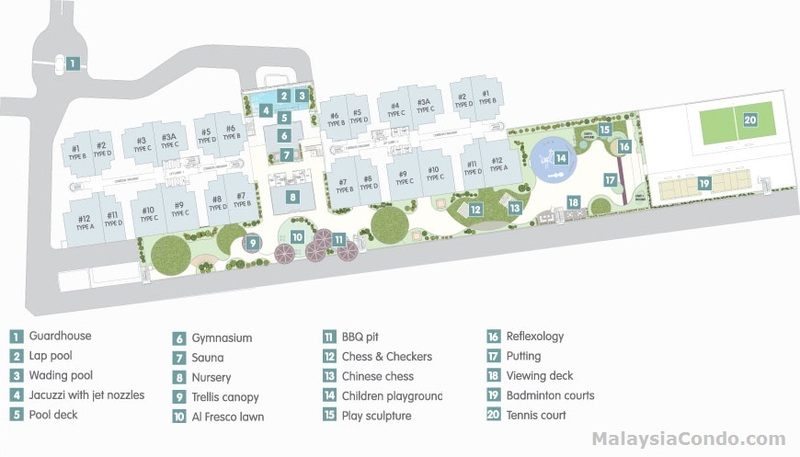 Palace Court comprises 2 blocks with a total of 496 units. 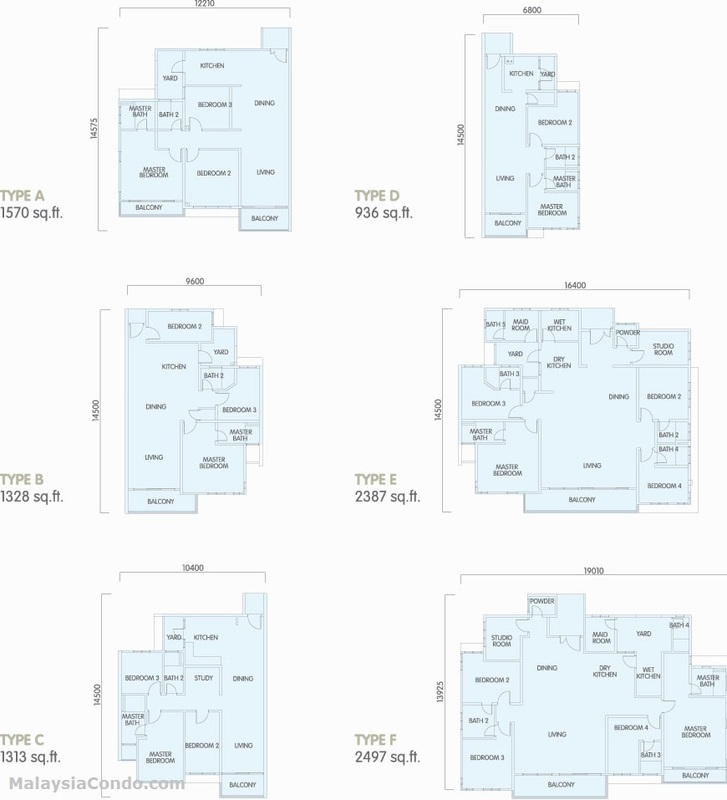 The built-up area ranging from 936 sq.ft. to 2,497 sq.ft. The facilities at Palace Court Condominium include lap pool, jacuzzi, pool deck, gymnasium, sauna, nursery, trellis canopy, BBQ pit, children playground, play sculpture, reflexology, putting, view deck, tennis court, library / reading room, cafe, badminton court, security services such as officers patrol, a guard house and CCTV, refuse collection. Built-up Area : 936 sq.ft. - 2,497 sq.ft.